You can help spreading the word for the Japan Blog Directory to increase the number of readers of the listed blogs. We developed a few banners which you can add to your website. 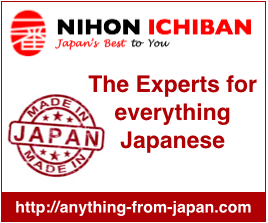 Just copy the code into your HTML editor and the banner will appear on your site and open a new page with the Japan Blog Directory. There is a small problem on displaying the html code on this side. You might have to re-do the ” characters on your computer in order to make the code work.